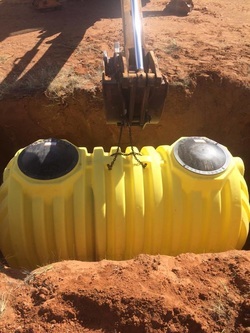 Are you installing a brand new septic system in Midland or Odessa, and you are looking for the best septic tank for you? Are looking for a company who will install your septic tank right the first time? Are you needing to repair or potentially replace a septic tank due to lack of maintenance? Looking for a septic tank at a price you can afford? Call us today at Midland Septic Tanks for your help with all your septic tank needs. You will be glad you decided to call the professionals at Midland Septic Tanks. We are the most knowledgeable septic company in the area. Give us a call today to let us help you. Call today to schedule your free Septic Tank estimate at 432-741-3025. Trust us to be your OSSF managers. There are many options for your septic tank and septic system. Let us be your consultants to find what fits your needs and requirements. We can handle your residential or commercial based septic tank needs. Trust us the professionals at Midland Septic Tanks. We know that many claim to be the best, we know we are. Other companies will cut corners to give you special deals. They will also install a system that will fail over time and not as good of quality of system or tank. Midland Septic Tanks we believe in giving you a product that will last the test of time. Let us handle your septic tank needs right the first time. Our commitment to you is the right products, at the right price, with the right service for you. Call us for your septic tank service and maintenance in Midland, Odessa, Greenwood and the surrounding area. You will be glad you trust the professionals at Midland Septic Tanks.